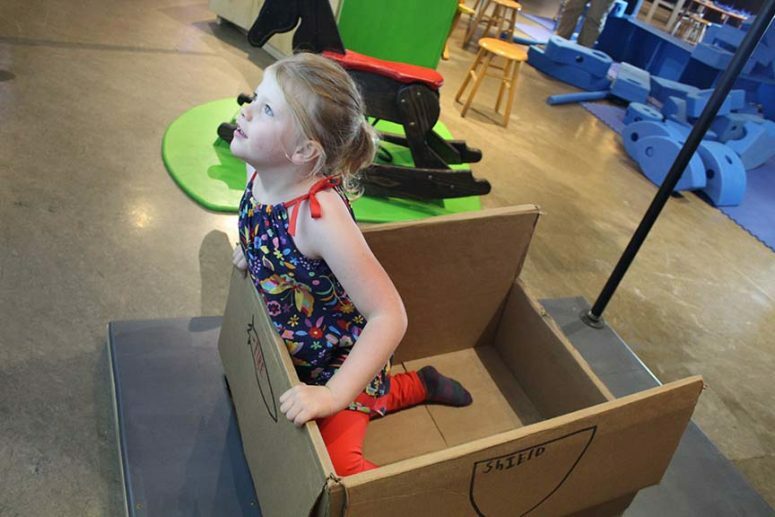 The Emergent Media Center (EMC) collaborated with ECHO, Leahy Center for Lake Champlain to create a fun and interactive STEM learning environment. ECHO visitors were able to interact/play with the different games from September 17th, 2017 to January 15th, 2018. 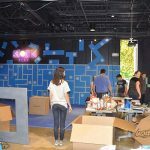 The display was called “Innovation Playground” and Burlington’s makerspace, Generator also had a hand in constructing portions of the exhibit. The EMC included the projects Spacebox, Variance, and Graffiniti. 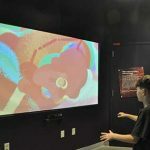 Graffiniti– A motion-sensing artistic experience. The user is able to paint the screen and create designs with only a swipe of the hands in air. Variance– a multiplayer game where up to three players at a time work together using alternative controllers (bongos, a captain’s wheel, and rocking horse) to reach a common goal. ECHO’s director of programs and exhibits, Nina Ridhibhinyo said “It’s incredibly satisfying to have been part of a collaboration whose product is as inspiring as its process. I’ve never passed so many midnights surrounded by community partners, all with a hammer or soldering iron in hand, to accomplish a shared goal. 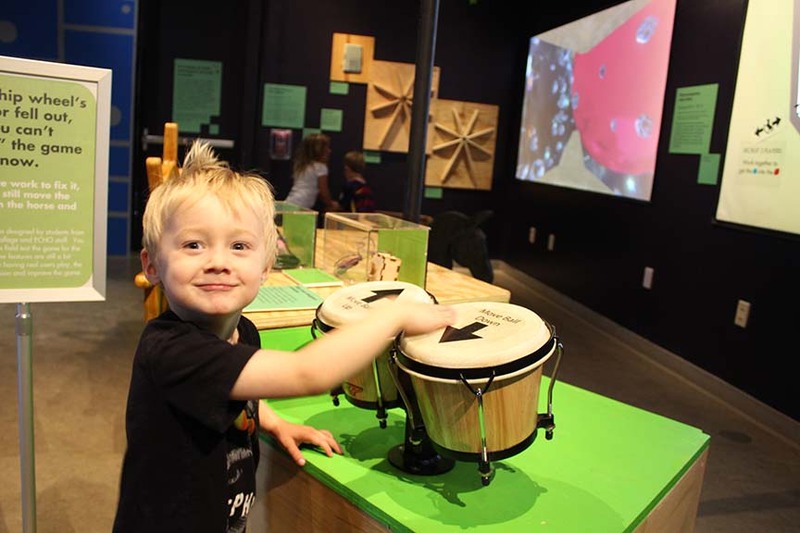 This exhibit is not only about our community and by our community, it extends the invitation to play and create to all who visit.” The EMC focuses on hiring students to encourage new and innovative ideas and solutions to world-wide issues. 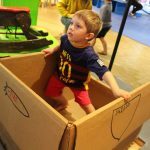 The iterative process essentially makes ‘play’ a vital part of development. This made the union between ECHO and the EMC a seamless and inventive experience. In today’s ever evolving world, STEM (Science. Technology. Engineering. Math) education has become more important than ever before. These skill-sets are endangered due to the lack of interest in and exposure to these field by students. Encouraging younger generations to learn more about STEM subjects and teaching them about the opportunities created by these careers is imperative. 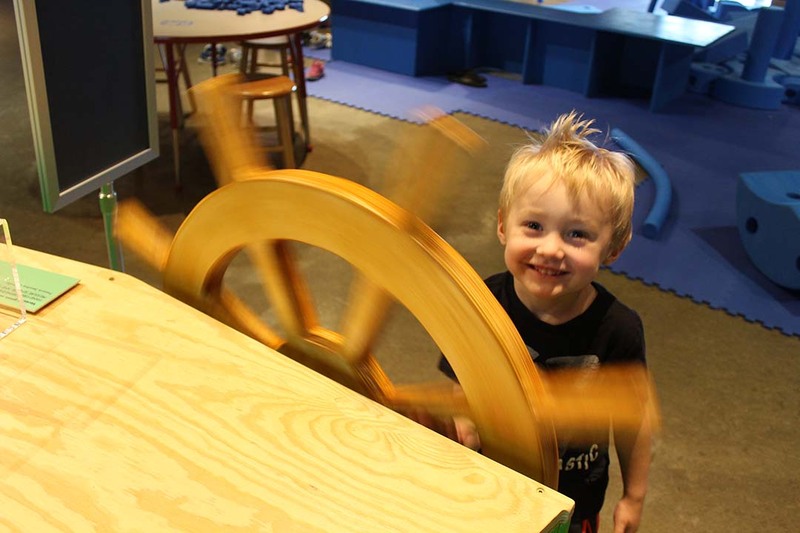 The purpose of the “Innovation Playground” was to both entertain and educate visitors using STEM processes and projects.